To kick things off, we’d like to offer a big shoutout to PC Magazine for giving Grovo 4 out of 5 stars and an “Excellent” rating this week. Your positive, thoughtful review means a lot. We’re excited about our product, and we’re glad to hear that you are too. And now, on to the articles. Are women different managers than men? via CLO Media. Consider this article the HR corollary to the debate that arose in the wake of Caitlyn Jenner’s announcement that her “brain is much more female than it is male.” This thoroughly-researched piece doesn’t provide concrete evidence for anything other than the fact that socialization and biological differences are difficult to separate when it comes to gender. 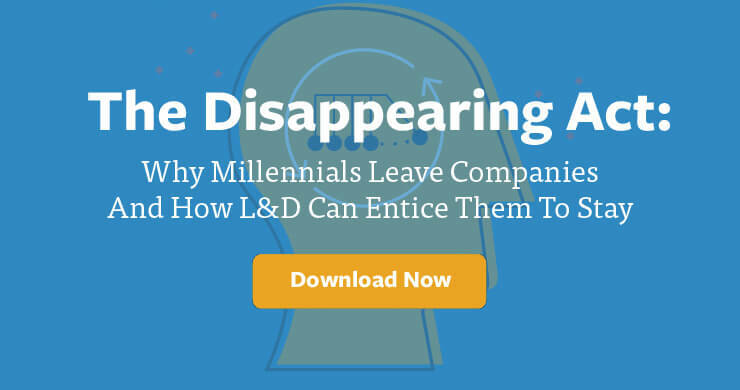 L&D needs a little of its own medicine via Forbes. Here’s an interesting one: L&D feels uncomfortable with its ability to leverage new technologies to measure the effectiveness of their learning interventions, according to a study done by Chartered Institute of Personnel and Development. This is not encouraging. L&D is supposed to be the business unit that teaches everyone else how to leverage technology. This is like a teacher wondering if she’ll ever find out who won World War II. I, for one, propose the creation of a super-L&D body to dispense digital skills and confidence to all the shrinking violets in our profession. The Internet is becoming one huge “video pipe” via the Washington Post. In 5 years, 85% of all Internet consumption will be video. Up with using videos for productivity and learning! L&D needs a revolution via CLO Media. An argument for a number of necessary innovations that we stand behind, including performance support, using learning to facilitate innovation, and orienting learning in an ecosystem. This is a forceful statement from someone who is clearly on our team. Corporate volunteering leads to engagement, via LinkedIn Pulse. Millennials are drawn to companies that not only have a clear mission, but live into it with non-profit endeavors. It’s a great way to increase engagement. I have to say that blogger Ryan Scott is right, since we had our quarterly Grovo for Good soirée last night and a bunch of people came in the office engaged today. Too many cooks in the millennial kitchen? via Training Industry. This blog post examines a stat pulled from the new Hartford study that’s been making the rounds lately, and which says that 78% of millennials view themselves as leaders. Seems like a disproportionate amount of leaders to followers, right? Does that mean that the 22% of self-reported betas have to divide their fealty among four leaders each? According to writer Michelle Eggleston, the answer lies more in how millennials define leadership.